With Teens of Denial (out 5/20 digitally via Matador), Car Seat Headrest’s Will Toledo has crafted a rarity in today’s indie world: an unflashy guitar album packed front to back with big, undeniable hooks. “Indie rock” has been in the midst of an identity crisis for a while now. The decline of the traditional record industry (mostly as a result of the internet’s musical free-for-all) as well as changing attitudes about (and in) the pop mainstream left indie culture adrift without its historical foils. In response, some bands have doubled down on indie’s worst tendencies, making insular, vibey music that offers a certain amount of intellectual interest, but little in the way of heart. Others have moved closer to a pop-sounding middle-ground, expanding (or watering down, depending on who you ask) the definition of what “indie” music is. In both cases there’s often an undesirable pretense involved in claiming “indie” as an identity, using it as a buzzword for alternative cool, while offering few sustainable musical or cultural ideas to make the term more meaningful. What’s an indie-rocker to do? Toledo’s answer is really the most obvious: just write great songs. That’s clearly easier said than done, and is kind of an oversimplification, but only kind of. The guitars on this record aren’t buried under loads of effects, the vocals are sometimes a little distorted (à la Julian Casablancas, with hints of Stephin Merritt too) but the lyrics are easily discernible, and the rhythms are varied but familiar. There’s the occasional understated horn or synth. This is straightforward rock music. Yet somehow, nearly every song on this record is a jam, with zippy guitar riffs that become instantly familiar and melodies you begin to sing along to on the first listen. And as downbeat as that reads, the song rocks. One of the Toledo’s most impressive feats, which he performs over and over on the record, is to take a complicated, emotionally intricate topic –like being made to feel guilty about your depression– and wed it to music that’s downright anthemic. One can’t help but picture “Fill in the Blank,” in a live setting, everybody in the audience screaming along to it, sharing in the catharsis. Toledo may have started as a bedroom artist, but his newest music begs to be played in big concert halls and at festivals. The whole first half of the record is full of similarly big, catchy rock songs. “Destroyed by Hippie Powers,” is a total banger, and “Just What I Needed/Not Just What I Needed,” is a Cars pseudo-cover that speaks to Toledo’s talent for cannibalizing rock music’s past without making “record collector rock.” (The latter song was also subject to some last minute disputes with the Cars’ Ric Ocasek, which resulted in thousands of records being recalled and destroyed, delaying Teens of Denial‘s physical release). Toledo has described how the idea for this portion of the song came from seeing the movie Blackfish, about killer whales kept in captivity. The conceit is that youthful anxiety and depression are connected to the experience of animals in a tank – both situations lead to potentially disastrous consequences when the subjects act out in frustration. Although it may seem like stretch, Toledo manages to make it work, in no small part due to the appeal of the music itself. The pinnacle of Toledo’s conceptual ambition is the track “The Ballad of the Costa Concordia,” an 11 minute maelstrom on the back half of the record. The Costa Concordia was a cruise liner that sank, and the captain famously botched the evacuation and fled to safety himself while leaving the disaster-in-progress behind. Rather than writing a ripped-from-the-headlines story-song, Toledo takes the event and uses it as a metaphor for his own self-doubt and self-discovery, achieving surprising depth in doing so. How was I supposed to know how steer this ship? How the hell was I supposed to steer this ship? By conflating himself with the ship’s captain, Toledo inspires sympathy for a person who by all rational accounts isn’t particularly deserving of it and simultaneously unpacks the human drama of failing yourself and trying to bounce back from that failure. As with “Drunk Drivers/Killer Whales,” his counterintuitive comparison makes for an honest and emotionally resonant tune. Toledo’s previous record, Teens of Style (his Matador debut), was similarly packed with earworms, but was a collection of re-recordings of some of the best songs from his Bandcamp back-catalog (Toledo, like his contemporaries Frankie Cosmos and Alex G, is one of that website’s greatest success stories). This latest album is full of all new material and confirms the prolific creativity that Toledo’s Bandcamp work suggested. Furthermore, the professional production (courtesy of Steve Fisk, who’s worked with bands like Nirvana, Beat Happening, and Soundgarden) elevates his music without completely glossing over the ragged charm that made his juvenilia so appealing. It’s been easy to look at indie rock lately and suspect that it’s played itself out (and some critics have said as much for a few years now). 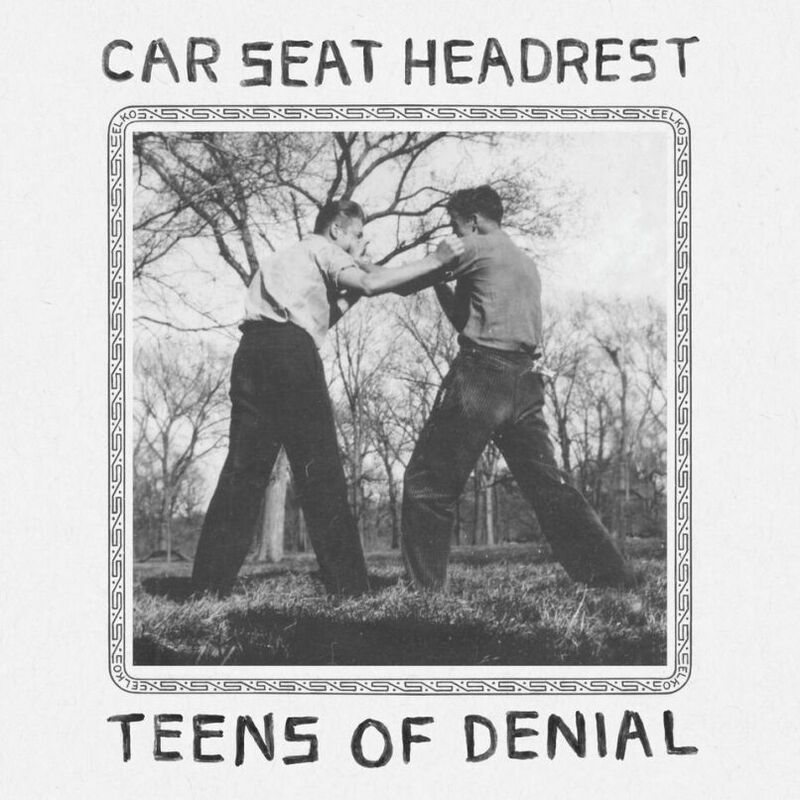 But Teens of Denial, and the Car Seat Headrest project more generally, speak to the genre’s enduring potential. Will Toledo has penned a set of accessible, inviting rock songs that are both formally ambitious and emotionally compelling. The new record not only appeals to those of us who love guitar music, but its hooks and clever take on the pains of growing up offer something satisfying for music fans of all stripes – and that’s what indie rock can be and do at its best.